This entry was posted in Church of the Holy Apostles and tagged Charles D. Cooper, South Philadelphia on June 27, 2018 by mjk38. 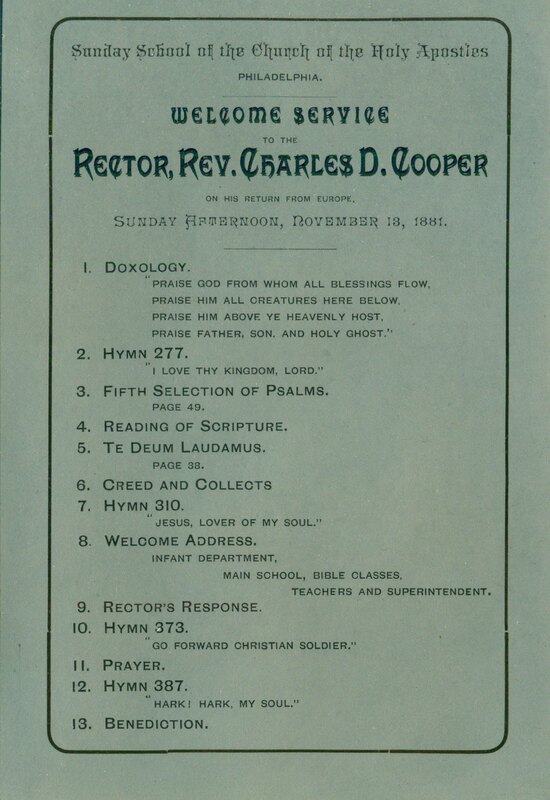 This entry was posted in Chapel of the Holy Communion, Church of the Holy Apostles and tagged Charles D. Cooper, George C. Thomas, Graduate Hospital, Henry S. Getz, South Philadelphia, Sunday School Lessons and Parish Intelligence of the Church of the Holy Apostles on December 24, 2016 by mjk38. This entry was posted in Chapel of the Holy Communion, Church of the Holy Apostles and tagged Charles D. Cooper, George C. Thomas, Graduate Hospital, Henry S. Getz, South Philadelphia, Sunday School Lessons and Parish Intelligence of the Church of the Holy Apostles on May 15, 2016 by mjk38. This entry was posted in Chapel of the Holy Communion, Church of the Holy Apostles and tagged Charles D. Cooper, George C. Thomas, Graduate Hospital, Henry S. Getz, South Philadelphia, Sunday School Lessons and Parish Intelligence of the Church of the Holy Apostles on April 10, 2016 by mjk38. 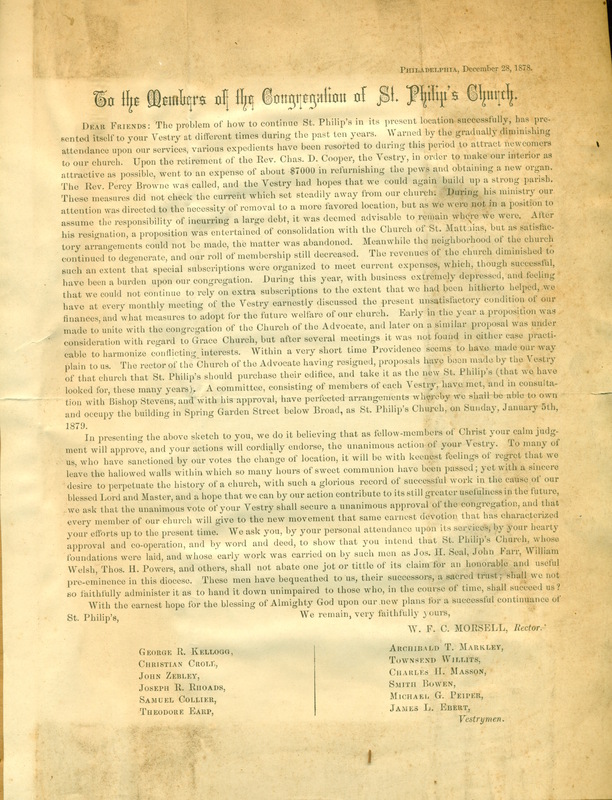 This entry was posted in Chapel of the Holy Communion, Church of the Holy Apostles and tagged Charles D. Cooper, George C. Thomas, Graduate Hospital, Henry S. Getz, South Philadelphia, Sunday School Lessons and Parish Intelligence of the Church of the Holy Apostles on April 7, 2016 by mjk38. This entry was posted in Chapel of the Holy Communion, Church of the Holy Apostles and tagged Charles D. Cooper, George C. Thomas, Graduate Hospital, Henry S. Getz, South Philadelphia, Sunday School Lessons and Parish Intelligence of the Church of the Holy Apostles on March 25, 2016 by mjk38. This entry was posted in St. Philip's Church and tagged Center City, Charles D. Cooper, North Philadelphia, Spring Garden District, William F. C. Morsell on November 16, 2015 by mjk38.